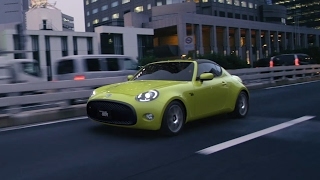 For those who stay updated with news linked with automotive world, the S-FR name must not be new. 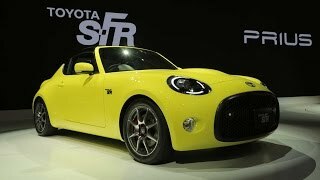 Toyota recently filled the trademark for the moniker and at the Tokyo Motor Show they came up with the Toyota S FR Concept 2015. With this leopard-speed of action we can expect the production version of this sportive and no-nonsense concept very soon. Let us have a look at the review of Toyota S FR Concept 2015 to know in detail about the specifications and performance figures of the model. 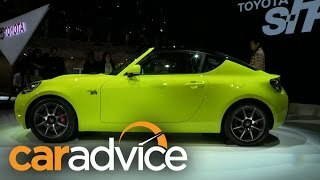 The interior of Toyota S FR Concept 2015 is elegant and simplistic yet modern. Up-front there is a big digital counter portraying all the vital data and gets accompanied by slim yet productive center stack featuring a cluster of round display and two buttons to control the air conditioning system. The affordable sports car concept further is housed with sporty seats with yellow inserts. The essence of color further spreads its wings over the black three-spoke steering wheel in form of stitching. Seats look comfortable while the door panels have a small basket for holding your tiny stuffs. The hand brake lever and gear knob looks pretty odd but the rest of the gleam hides this. In all rounding up the interior details of Toyota S FR Concept 2015 I would just say, it’s stunning. 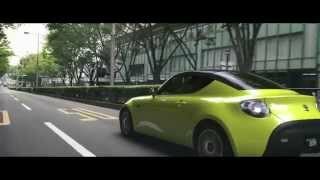 The exterior design of Toyota S FR Concept 2015 is simple and compact. Starting with the front fascia, the long engine hood has some gorgeous creases while the oval shaped headlights sit aggressive on either sides of the massive grille. The essence of yellow drenches in it the entire exterior while the red brake calipers sneak through the small wheels. Around back the model has a set of round taillights and the bumper marches and makes its way till the trunk lid and has integrated exhaust tip of same color. 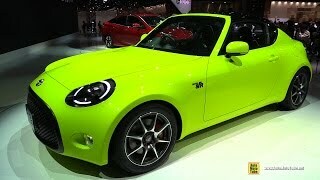 In all rounding up the exterior details of Toyota S FR Concept 2015, the sloping roof style and the commendable use of bright yellow and dark black makes the model look gorgeous. The performance figures of Toyota S FR Concept 2015 are not yet revealed and neither had they shared the power output of the concept model. However the rounds of presumptions primarily highlight a small displacement engine which will be paired with a six-speed manual transmission (transmission is shared by the company).